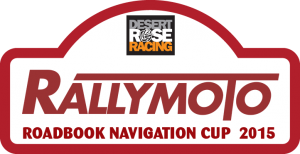 Just days after the Rallye Oilibya du Maroc FIM World Rally Championship round where GBR's Sam Sunderland (KTM) took the win and Matthias Walkner clinched the world title (2nd, KTM), the world's rally riding elite are now tackling the Merzouga Rally. Now when I say tackling, I mean they are having to bring their A-game this year! The start of the race was pretty brutal, sending the riders up a huge hill climb full of rocks, boulders, gravel and rock steps. Even the pro riders struggled and flapped their way up, so a lot of respect is due to the entire field for their efforts so far. One of those riders is British Dakar 2016 entrant Chris "Corky" Cork, who established his riding roots in the UK All Terrain Rally Challenge. He's riding a great race so far, navigating well and avoiding penalties, get behind him and show your support! His race number is 39 and you can follow his race on Twitter, Facebook and Instagram, as well as on the Merzouga Rally live timing site. You can also find out how to support his Dakar race effort in January 2016 by visiting his website gotrailriding.co.uk. Update (after stage 3): Sam Sunderland (KTM) had a big crash in a whooped river bed on the first half of the Marathon stage, breaking his right femur and left collarbone. Matthias Walkner (KTM) also withdrew from the race due to sickness. Antoine Meo (KTM) was with Sunderland and Walkner at the time of Sunderland's crash at KM 111, but after their withdrawals, provisionally leads the rally in the general standings. The riders will do their own servicing overnight and continue onto the second half of the marathon stage in the morning. We all wish Sam Sunderland a very speedy recovery, and hope that this doesn't ruin his chances of getting to the Dakar Rally in January.